Dr. Alan Lotvin is Executive Vice President of Transformation for CVS Health. 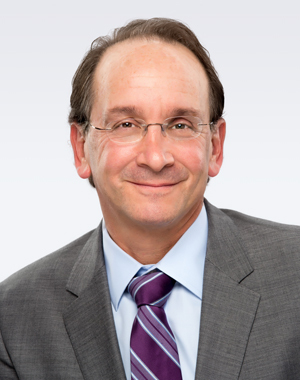 In this role, Dr. Lotvin has oversight of the portfolio of business transformation initiatives across the enterprise with a focus on identifying opportunities for growth and innovation to create a new health care model that is easier to use, less expensive and puts consumers at the center of their care. Dr. Lotvin has extensive experience in the pharmaceutical benefit management and specialty pharmacy industries. Prior to his current role, he served as Executive Vice President of CVS Specialty, the specialty pharmacy of CVS Health, and before joining the company, Dr. Lotvin was President and Chief Executive Officer of ICORE Healthcare, a Magellan Health Services company. Previously, Dr. Lotvin held multiple roles at Medco Health Solutions, including President of Medco Specialty Pharmacy Services and Senior Vice President of Manufacturer Contracting. Dr. Lotvin began his career as a practicing cardiologist in New Jersey. He holds a master's degree in Medical Informatics from Columbia University and a Medical Degree from the State University of New York Health Sciences Center in Brooklyn. Dr. Lotvin also holds US Patent #6269819 Method and Apparatus for Circulatory Valve Repair.